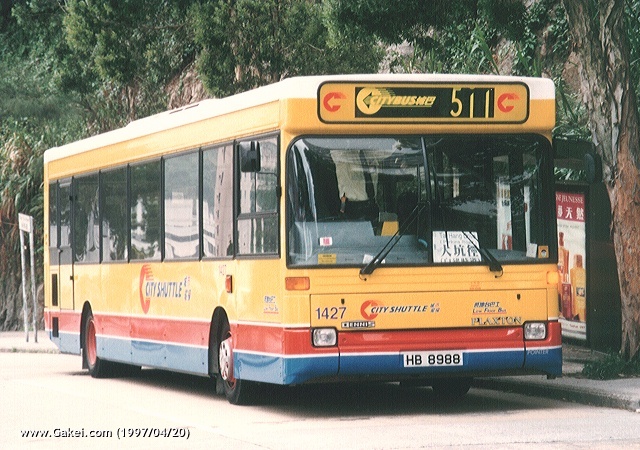 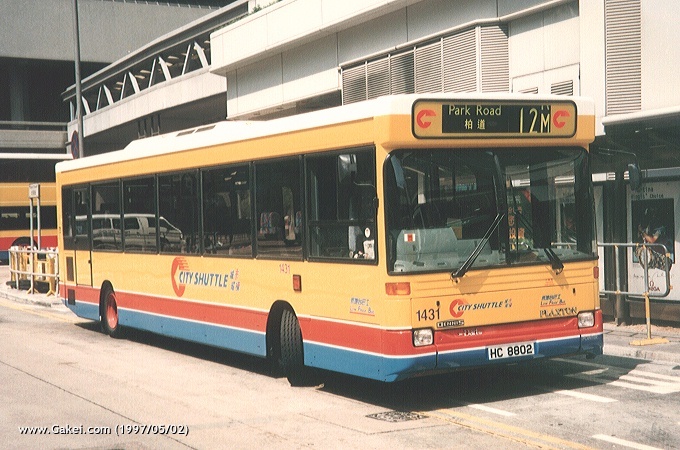 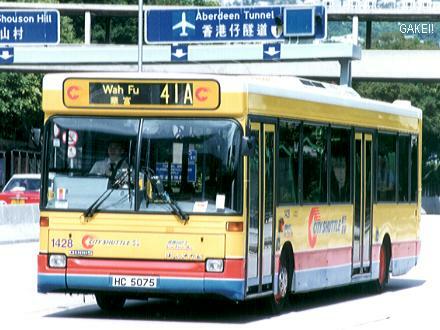 In addition to the 21 Dennis Darts 1401-21, 15 more Darts (1422-36) joint the fleet of Citybus in 1997. 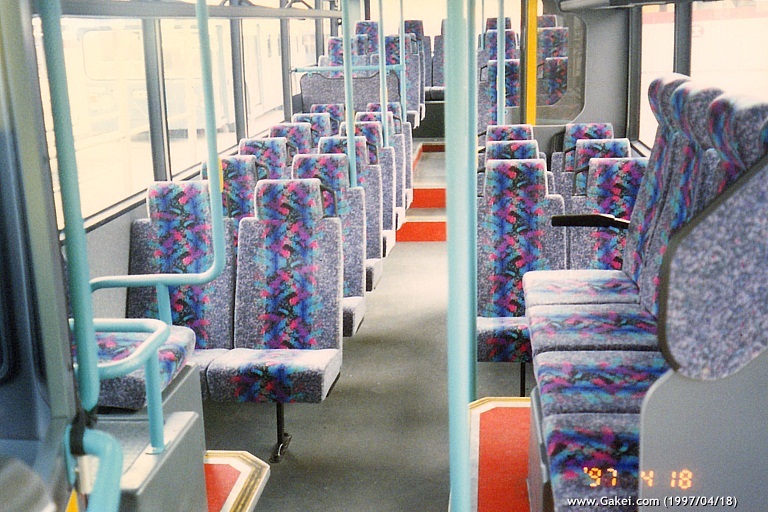 However, different from the former ones, these Darts are SLF (Super Low Floor) version. 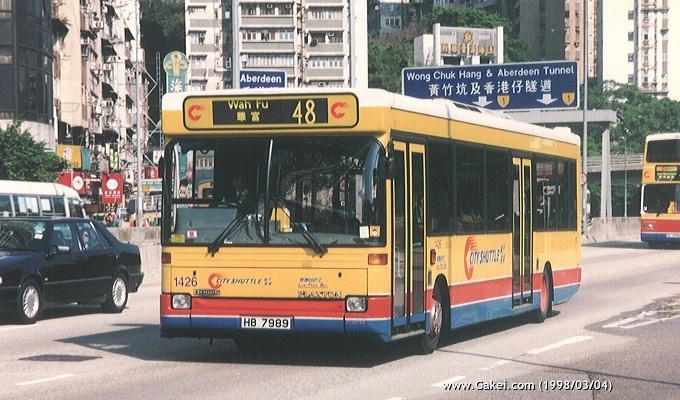 Plaxton Pointer was chosen as the body of these buses, and seperated entrance and exit are installed. 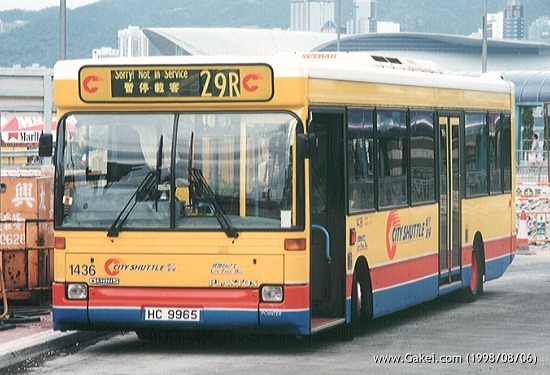 The exit is located near the rear axle, in order to attract passengers to move to the rear part of the bus while boarding.